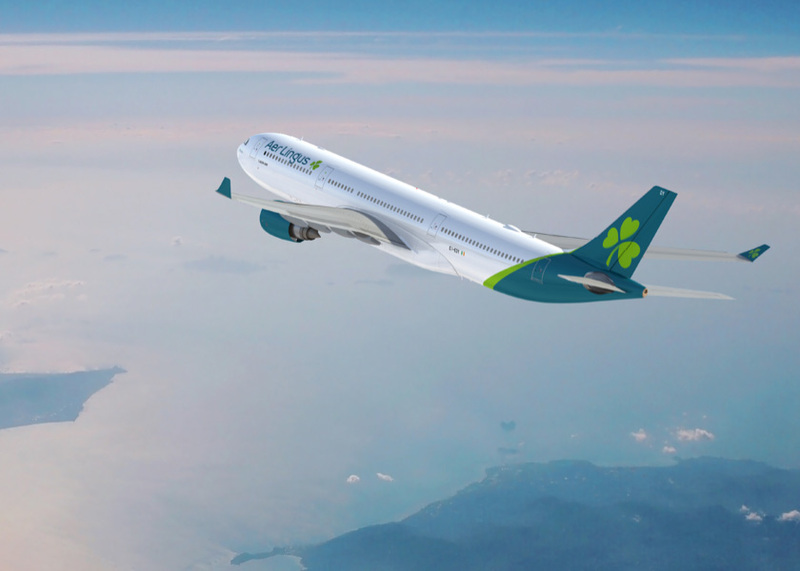 Aer Lingus has unveiled a refreshed brand that includes an updated logo and new aircraft livery. The refresh is part of an ambitious growth plan to increase its North Atlantic fleet from 17 to 30 aircraft by 2023. 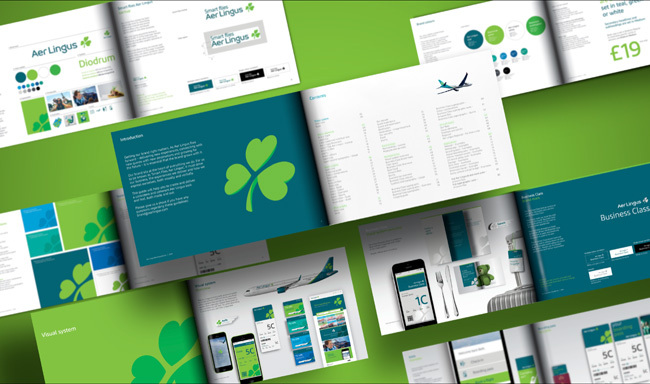 The airline tasked Lippincott with creating a brand that would reflect the radically different airline it has become, yet preserve its special emotional bond with Ireland. To that end, Lippincott developed a comprehensive visual expression. The new logo retains but restyles the iconic shamrock, adding a tilt to symbolize dynamism and speed, with heart-shaped leaves projecting warmth and hospitality. The logo font has been changed to diodrum and the dominant color is teal. The body of the Aer Lingus aircraft will be white with a teal-colored tail and engines, bringing a sleek, contemporary vibe. The teal undercarriage will help the airline be recognizable to those on the ground. The brand refresh is being rolled out across multiple platforms, including a new website and app design, across all guest touchpoints, from check-in to boarding gate and on to the aircraft. The lead designer on this project was Dublin native Brendan Murphy who has been working with Lippincott in New York for over 20 years. Lippincott has extensive airline experience having most recently worked on Delta, Southwest, and Hawaiian airlines. The GDUSA Podcast #2: Janet Odgis of Odgis + Co.